Follow the wild-eyed Poet, the obsessed Artist, and the expeditions of the Professor, as they investigate Eldritch Secrets no mortal was meant to discover. Someone has stolen the Necronomicon from the library at Miskatonic University, and a Farm in the hills is undergoing a horrifying Metamorphosis. Meanwhile, unspeakable abominations stir in Penguin-riddled Tombs beneath the ice. Are you Inevitably Doomed to a lifetime of Nightmares in the Sanitarium, or are you, in fact, a Secret Cultist, worshiping the Minions of Darkness? 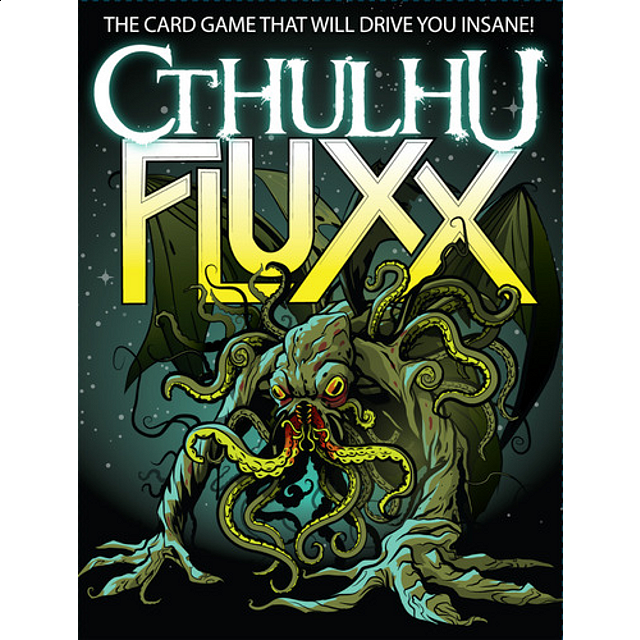 Gaze upon the ever- changing face of Madness with Cthulhu Fluxx!